This is my Czech glass May Birthstone rosary. 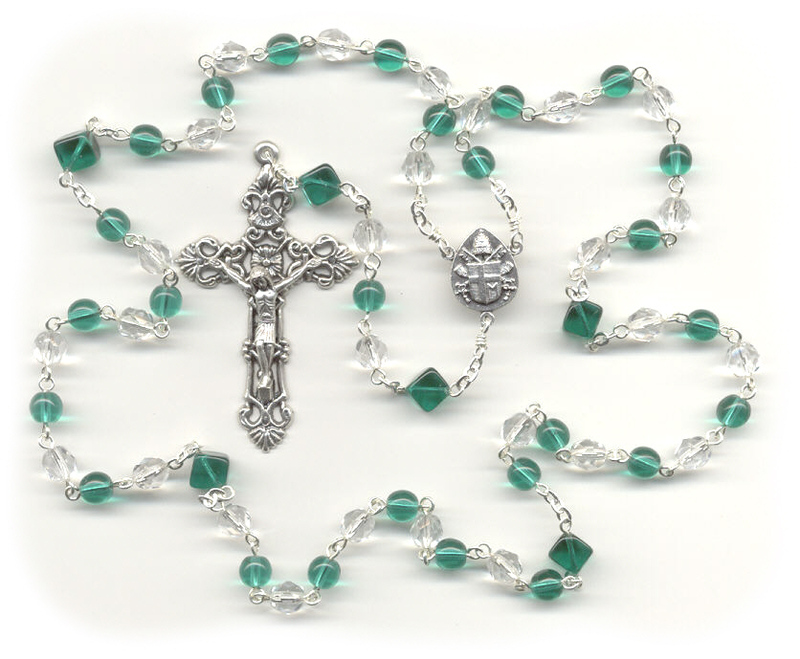 Although this rosary is made using Czech glass, the traditional birthstone for May is the Emerald. As one of the more expensive semi-precious stones, Emeralds are in high demand which is why it can be near impossible to find them in bead form. The colors will vary depending on the purity of the stone and usually range from a lighter, almost hunter green to the amazing deep emerald green that one normally finds in traditional jewelry settings.